While most of us put our faith in Christ for our eternal life, few of us put our faith in Him for our daily life. Do you want to live by faith, not fear? It is impossible to trust someone without knowing them and the only way to know God is through His Word. “So faith comes from hearing and hearing by the Word of Christ.” – Romans 10:17. Women will leave this retreat knowing that God is a Promise making, Promise keeping, lavish gift giving God who CAN be trusted!! Session 1: Faith, what is it? Without faith we cannot please God. Learn how to let God’s truth control your life, rather than your feelings. Become a faith-FULL woman, not a fear-FULL woman! Faith, how to get it, presents 5 ways to believe God through the study of His Word. If you have ever wanted to know how to study God’s Word for yourself, this is the message for you! Accept Debbie’s 30 day challenge to spend 15 minutes a day in God’s Word and change your life in dramatic ways! Faith, how to live it describes how to have a heart that holds on to God’s word no matter what comes your way. 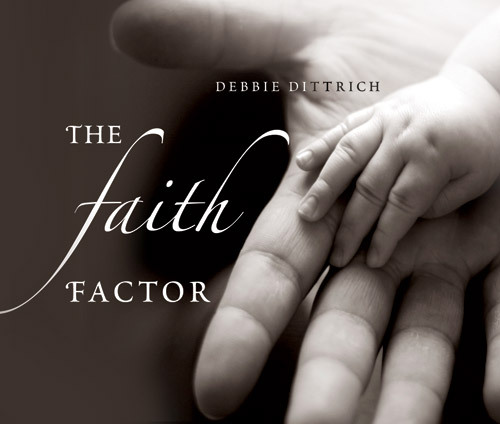 Debbie clearly shows how the worries, cares and riches of this world choke out God’s word and how the enemy and the trials of this life, keep us from believing God. Take Debbie’s 30 day challenge to believe God no matter what comes your way and watch your faith grow in new ways!